Therapy Help: Heather Wedgle, Psy.D. Dr. Wedgle specializes in psychotherapy with adults, couples, and children. She views therapy as a collaborative process and believes that you can improve your life through self reflection, personal growth and development of life skills. She believes that through therapy individuals can be empowered to improve themselves and live more satisfactory, meaningful lives. Dr. Wedgle has experience working with clients from diverse backgrounds, ethnicities, religions, and sexual orientations. 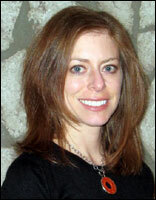 She specializes in Cognitive Behavioral Therapy when treating anxiety, depression, and anger. Dr. Wedgle’s practice is located in the Rose Medical Center in Denver, CO. Her standard fee is $140 per 50-minute session. A sliding scale fee is available depending on the individual’s income. Dr. Wedgle is pleased to accept United HealthCare, Aetna, Cigna, Anthem Blue Cross, Out of Network Value Options, Tricare and TriWest Insurances. If you would like to schedule an appointment or ask any questions, please call (720)581-4620 or email her at drwedgle@drwedgle.com.